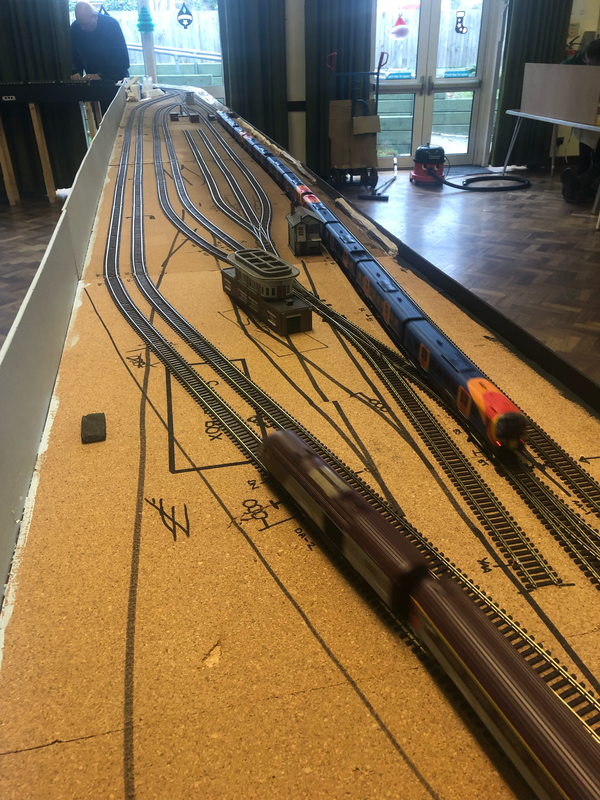 The West Exchange Sidings is an ambitious 00 layout for the exhibition circuit with 3 side of viewing. 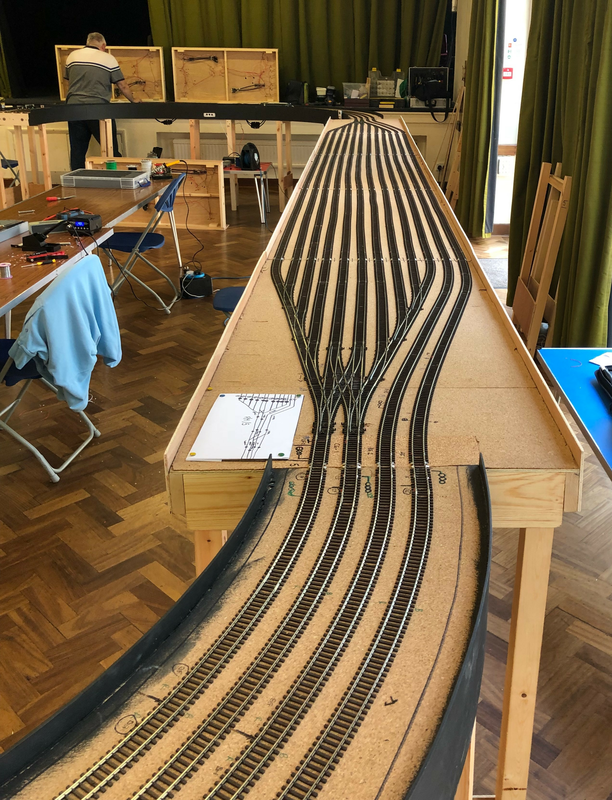 The track layout is designed for the signalling and operation side with four track main line with carriage sidings just outside London. Plus interesting scene features including signal boxes, warehouses and working signal/shunts. The layout is DCC operated by Lenz 100 system with DCC fitted sound locos/Units. 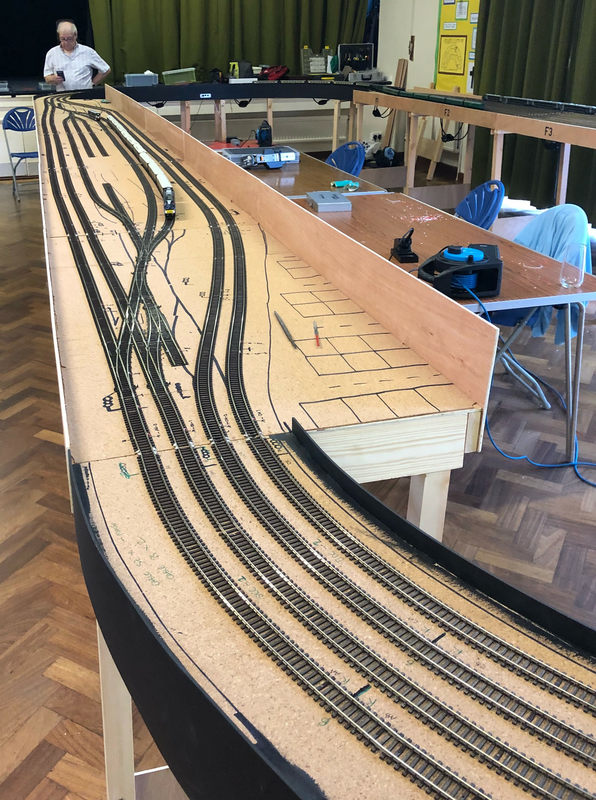 The ends of the layout are designed to be used as a small test track by missing out the scenic and fiddle yard boards. 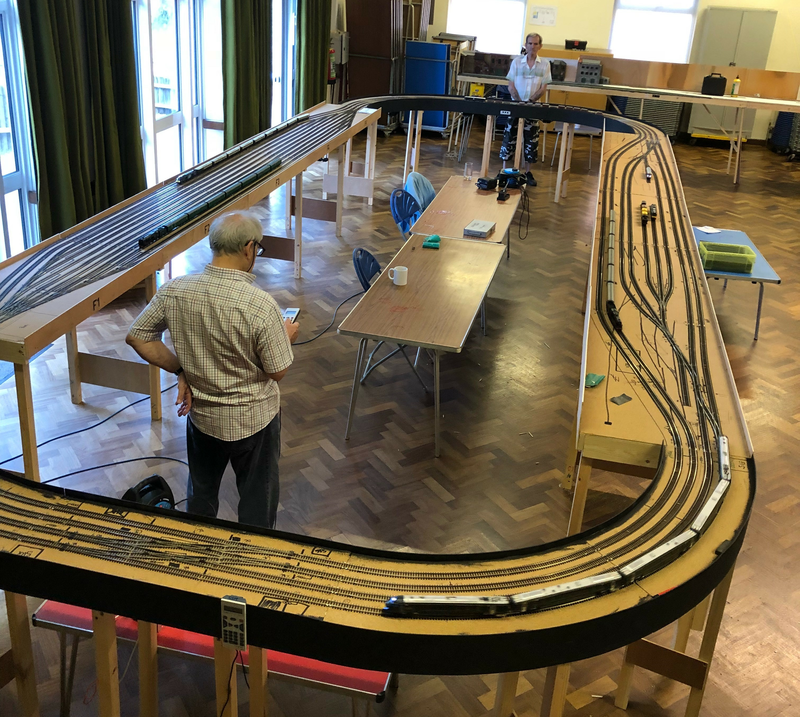 Some photos of the layout under construction in January 2019.